Do you know this young lady that stole something from CVS on George St. Downtown Charleston? Call 554-1111 and you can get a reward up to $1,000! | Crime Stoppers of the Lowcountry: 554-1111 | 1-888-CRIME-SC | Anonymous tips earn cash rewards with Crime Stoppers of the Lowcountry. 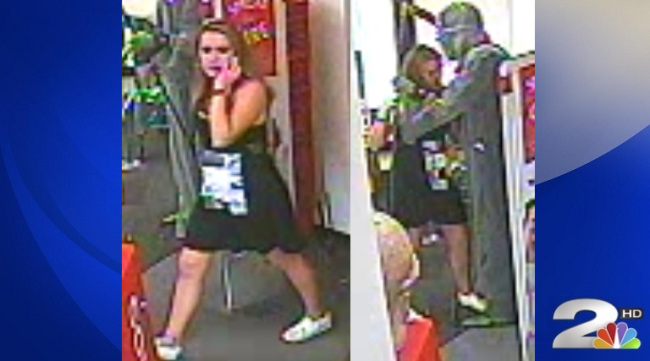 Home | News | Do you know this young lady that stole something from CVS on George St. Downtown Charleston? Call 554-1111 and you can get a reward up to $1,000! Do you know this young lady that stole something from CVS on George St. Downtown Charleston? Call 554-1111 and you can get a reward up to $1,000! CHARLESTON, S.C. (WCBD) — The Charleston Police Department is searching for the person who stole a Halloween decoration from a downtown store. Authorities say a female is suspected of stealing $70 worth of items, including a 6 ft. tall grim reaper, from CVS on George Street on Friday, October 28. If you have any information, contact Investigator Huffman at 843-579-6433 or hoffmanl@charleston-sc.gov.